The Spokane Symphony launches its season in style with 'Russian Adventures' at the Martin Woldson Theater at the Fox on Saturday, September 19 at 8pm and Sunday, September 20 at 3pm. Eckart Preu conducts and the evening will feature music by Mussorgsky, Bartok and Tchaikovsky. 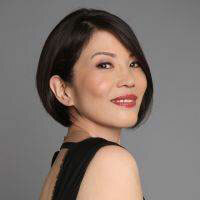 Guest performer is pianist Cecile Licad, whom The New Yorker described as 'a pianist's pianist'. Tickets are available at the Box Office of Martin Woldson Theater at The Fox, or by calling 509-624-1200 and also available at www.ticketswest.com or 800-325-SEAT. And you can join the Spokane Symphony for an Opening Weekend Dinner, Saturday, September 19 at 5pm (before the 8pm performance) and Sunday, September 20 at 5pm, (after the 3pm performance). Sip champagne and enjoy a delicious dinner in the Spokane Club Georgian Room just two blocks away from the Spokane Symphony concert at The Fox. Dress is Cocktail Attire. Tickets are $75 per person for the dinner and are available at the Box Office or by calling 509-624-1200. All the proceeds benefit the Spokane Symphony. Visit www.spokanesymphony.org for more concert information. 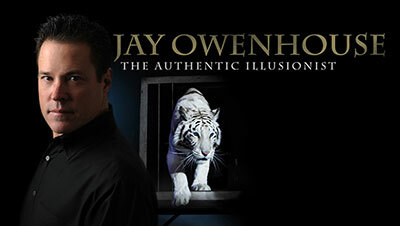 Jay Owenhouse, 'The Authentic Illusionist' brings his Dare To Believe show to the INB Performing Arts Center on Friday, September 25 with an elaborate new stage show. A spell-binding, theatrical event where audiences witness the magic and experience it. You'll see audience members float in mid air, get sawed in half, and much more. The Show also features Jay's new Bengal Tigers Shekinah, a stunning Royal White Tiger and her sister Sheena, a beautiful orange Bengal. Showtime is 7:30pm. Tickets are on sale now and available at www.ticketswest.com or 800-325-SEAT. This Sunday, September 13 from 11am to 2pm, come to Arbor Crest Wine Cellars for their Invitational Classic Car Show. Admission is free. You'll get to see the inspiration behind Arbor Crest's 'Cadillac Red' wine, at this amazing display of classic cars. Food and wine available for purchase all day. Then Atomic Jive performs from 4:30 to sunset. $8 admission for the concert. Tomorrow night at Arbor Crest, Doghouse Boyz perform bluesy fold rock from 4-6pm. Don't miss the last free outdoor concert of the season at Barrister Winery with the music of Sammy Eubanks tonight, September 9 starting at 6pm at Barrister Winery, 1213 W Railroad Ave. Wine available for purchase, reservations recommended at 509-465-3591. It's been a long summer of road construction next to Rocket Market on the South Hill, and it's finally coming to an end. Join the folks at Rocket Market as they celebrate their new road and getting back to normal with the end of construction, for their Block Party, Thursday, September 10 at 6pm. There will also be live music, food, wine & beer available for purchase. The Block Party will also be a fundraiser for Beyond the Yellow Ribbon, a non-profit run by firefighters and veterans, that delivers relief in the form of cash/gift cards and/or help with re-building, directly to the victims of wildfires in our area. Local food, beer & wine producers are teaming up with Rocket, donating their time and products to the cause. All of the sales of these items will go directly to the victims. Rocket Market is located at 726 E 43rd Ave. Visit rocketmarket.com. 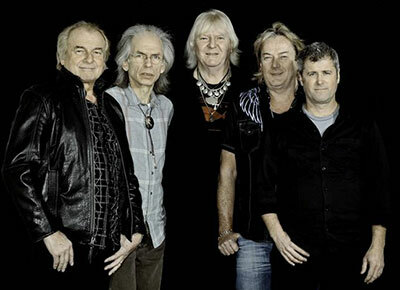 Two of the most popular rock bands of the 70s and 80s will perform one night only at Northern Quest Casino, this Friday, September 11 at 7:30. Tickets available at northernquest.com or by calling the Box Office at 509-481-6700. September is Mel McCuddin month at the Art Spirit Gallery at 415 Sherman in downtown Coeur d'Alene. 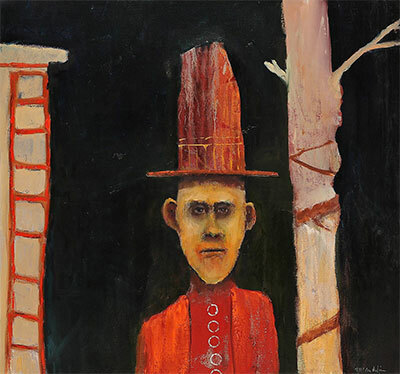 Over forty new paintings will be exhibited during his show from this Friday, September 11 through October 2. The opening reception is this Friday night from 5 to 8. You can preview the paintings at theartspiritgallery.com. Special Food Gathering at Taste Cafe and Fine Art Today! A special food event will take place at Taste Cafe and Fine Art, 180 S Howard (corner of 2nd Ave and Howard) today, September 9 from 5:30-7:30pm. This 'Food Gathering' is presented by Food Flavor Fit to bring people together to get to know and experience small businesses who are producing nutritious and flavorful food in the Inland Northwest. You can come taste delicious food and meet Taste Cafe owners Jim and Mary Ann McCurdy and their talented staff. This event is free. No host beverage service will be available. RSVP at info@foodflavorfit.com. For more information on Food Flavor Fit, visit foodflavorfit.com. The Spokane Home Builders Association announces the return of the Fall Festival of Homes. The 11th annual event is set for the weekends of September 25-27 and October 2-4, open 10 am to 5 pm daily. The event is the largest new home construction showcase in the Inland Northwest featuring 31 homes from 19 of Spokane's finest builders. This year's event features homes varying in price from under $200,000 to $1.2 million and are located in neighborhoods throughout Spokane County. Presented by the Spokane Home Builders Association, and sponsored by PRO-Build, the Fall Festival of Homes provides the public with a free tour of newly constructed homes in Spokane where they can view the latest building techniques and designs. Show attendees are encouraged to fill out 'People's Choice Ballots' to help recognize the best homes in the show. Ballots are located at each home. More information on the show can be found at www.SpokaneFestivalofHomes.com. Maps and an event guide will also be included in a special insert in the Wednesday, September 23, edition of The Spokesman-Review. Uncle D's Comedy Underground season starts Friday & Saturday, September 18 & 19. Doors open at 6:30 and shows begin at 8pm. Dinner and full bar available. Tickets are $12. Open mic every Thursday, no cover. Located in BLUZ at the Bend, 2721 N. Market at Illinois St. Call 509-483-7300 for reservations. Starting next Friday, September 18, is the first in a series of Friday Night Dances at the Southside Senior & Community Center with Variety Pak, a longtime, local dance band. Variety Pak plays music from the 20s through the 80s, all danceable tunes with an aim of providing variety! The Pak members are Leslie Ann Grove and Keith LaMotte alternating trumpets, flugelhorns and vocals, bassist Kyle Pugh, and Marv Richter on drums. They will also feature a fifth guest artist at every concert, on guitar or keyboards. Upcoming Friday night dances are October 23, November 13, and December 18. The evening runs from 7 to 9:30pm. Beer, wine and finger food will be available. Cost is $8 for members and students, $10 for non-members and you pay at the door. Southside Senior & Community Center is located at 3151 East 27th Ave on Spokane's south hill. Jan Harrison performs at Barlows at Liberty Lake this Saturday, September 12 from 6-9 and again on Saturday, September 26 from 6-9pm. Enjoy beautiful jazz music in a great setting. Food and beverages available for purchase. Joining Jan on Sept 12 are Danny McCollim, keyboards, Doug Folkins, bass, and Mark Stevens, drums. On Sept 26, Jan will be performing with guitarist Nick Herman. Barlows is located at 1428 N Liberty Lake Rd. For more information, find Jan Harrison on Facebook or call 509-723-7734. Chuck's 3 Piece Orchestra, or C-3PO for short, is sax man, Chuck Swanson's band. They will be performing some soul, jazz and funk at the Brooklyn Deli and Lounge, 122 S. Monroe Street, downtown, this Saturday, September 12 from 8 to 10 pm. John Hiatt and the Combo come to the Bing Crosby Theater Monday, September 14 at 8 pm, presented by The Knitting Factory. Ticketswest has your seats at www.ticketswest.com or 800-325-SEAT. 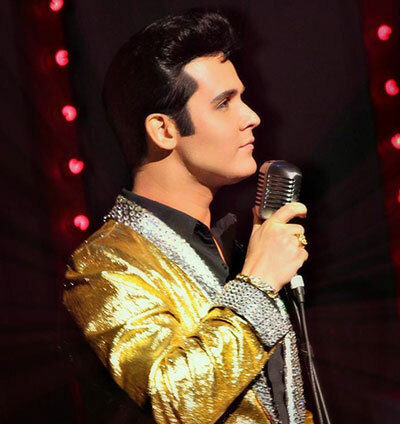 Ben 'Preslee' Klein Review presents Elvis & Friends, from Swing to the King Tribute Show, tomorrow, September 10 from 8-11 pm at the Big Dipper, 171 S Washington at 2nd Ave. Tickets are $15 at the door, or $13 in advance or 2 for $25. For tickets call Gwen at 509-868-4671. For more information on the concert, call 509-868-8098 or visit www.benklein.net. On Friday, September 25, from 5 to 8 pm, the Spokane Arena will open its doors for free to the public for the 20th Anniversary Open House where guests will help celebrate 20 fantastic years of events and memorable moments!